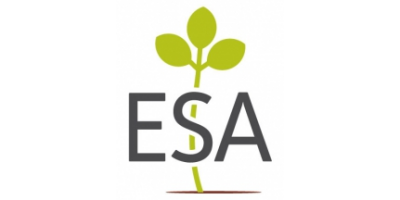 MEP Christopher Fjellner is organising an event entitled 'Rest in Peace Plant Breeding Innovation in the EU after the ECJ Ruling?' on Wednesday, 6th of February 2019, from 16h30 to 18h30 at the European Parliament in Brussels. The European Court of Justice Ruling from 25 July includes plants resulting from new mutagenesis methods under GMO regulation. As a result, Europe risks to lack behind compared to other parts of the world where these innovations can be used without overdue regulatory burden. Therefore, MEP Christopher Fjellner wants to host a debate about the impact of the ruling on the scientific community, the plant breeding sector and the agri-food chain as well as discuss policy options for next steps. The first keynote speaker, Léon Broers (KWS Saat SE, Germany), will cover the evolution of crops and breeding methods with a special focus on the latest breeding methods as well as potential applications. His presentation will provide the future perspective on plant breeding innovation from the view of an EU based breeding company. The second keynote speaker, Philippe de Jong (Altius Law Firm, Belgium) will give an overview of the regulatory status of non-transgenic plant innovations under current EU law. The presentation will cover the ruling of the European Court of Justice in Case C-528/16 on mutagenesis breeding, its legal consequences and bring this into context of the general legal framework around plant breeding innovation and its products in the EU. A panel debate on the consequences of the ECJ ruling and possible way forward will follow with representatives from VIB-UGent Center for Plant Systems Biology, Copa-Cogeca, Mission of Argentina, Swedish Board of Agriculture and ESA European Seed Association. The Sustainable Farming Association is again hosting its series of popular Cafe Chats, free events featuring area farmers who are practicing soil health principles like cover crops, more diverse species, reduction in soil disturbance and adding livestock. At each Cafe Chat, area farmers share their soil health experience, followed by open questions and discussion. SFA Livestock & Grazing Specialist Kent Solberg and local SWCD staff will also discuss soil health and answer your questions. No comments were found for Rest in peace plant breeding innovation in the EU after the ECJ Ruling?. Be the first to comment!